Laweyan is one of Batik centre in Solo. This village certainly has many histories about Batik solo as an icon. The history of batik making in Indonesia is closely related to the development of Majapahit empire and the deployment of Islam in Java. In several notes, the development of batik is many done at Mataram kingdom era and then at era of kingdom of Solo and Yogyakarta. So, the art of Batik in Indonesia has been known since Majapahit empire and continues to grow to the next empire. Widespread of batik art who has belonged to Indonesian and Javanese especially was at the end of 17th century or the early of 19th century. Written batik is produced until the early of 20th century and stamped batik is known after World War 1 end or approximately in 1920. As for the relation with the spread of Islam. Many central regions of batik making in Java were region of islamic boarding school and then Batik became instrument of economic struggle by Moslem traders to fight colonial economy. The art of Batikcis art of drawing on cloth which become one of culture of Indonesian kingdoms at the past. Initially, Batik is made in royal palace and used only for the king and his families also his followers. Therefore, there were many of king followers who live outside of palace, so the art of batik is brought by them outside of palace and made in their own place. After a long time, the Batik art is imitated by nearby citizens and furthermore develop into the work of woman in her household to spend leisure time. Further, batik becomes popular folk clothes for man and woman. Fabric materials that is used at the time are their own homespun fabric. While, the dye materials that was used consist of original plants of Indonesia made by themself such as Mengkudu tree, soga tree, Indigo tree, and soda materials made from soda ash, and its salts made from mud. Batik who has become culture in Majapahit empire, can be traced in Mojokerto and Tulungagung. Mojokerto is a region that is related closely to Majapahit empire at the past and name of Mojokerto has connection with Majapahit. Related to batik development from Majapahit that develop in Tulung Agung is history of development of batik making in this region, can be traced from the heritage in Majapahit era. At the time, most of Tulung Agung consist of swamp where in history is known as Bonorowo where was controlled by Adipati Kalang and he didn't want to obey Majapahit empire. Told that in action that was launched by Majapahit, Adipati Kalang dead in a battle around village that is nowadays called Kalangbret village. So, the soldiers and Majapahit royal family who stay in Bonorowo (Tulungagung nowadays) also brought an art of original batik making. Area of batik making nowadays in Mojokerto is located at Kwali, Mojosari, Betoro, and Sidomulyo. Outside of Mojokerto regency is located in Jombang. At the end of 19th century in Mojokerto, the materials that was used at the time were homemade white fabric and batik ink from soga jambal, mengkudu tree, indigo tree, and etc. Foreign inks were newly known after World War 1 that was sold by chinese traders. Stamp was made in Bangil and businessmen of Mojokerto batik can bought it in market, Porong, Sidoarjo where Porong market itself before world economic crisis was known as crowded market, many result of batik production Kedung cangkring and Jetis Sidoarjo were sold here. After crisis, activities of batik making was arise back until Japan invaded Indonesia, and when the colonialism age of Japan in Indonesia, the activities of batik making was paralyzed again. The activities appeared again after revolution where Mojokerto already becomes occupied areas. 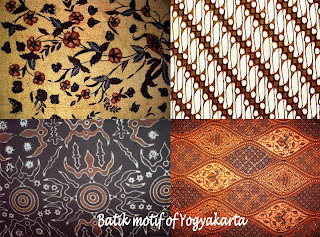 Typical identity from Kalangbret batik from Mojokerto is almost similar to Yogyakarta batik where the basic is white and the colours are young brown and old blue. Known since more than a century ago exactly in Majan village and Simo village. These villages also has history as heritage from Diponegoro war era in 1825. Although batik making is known since Majapahit era but batik development start to spread quickly in Central Java, exactly in Surakarta and also Yogyakarta. It shows us that the batik development in Mojokerto and Tulung Agung is more be affected by batik pattern of Solo and Yogyakarta. When the war begun between dutch colonial army and prince Diponegoro's troops, most of Kyai Mojo's troops resigned to the region in the east and until now the region named as Majan. Since ducth colonial age until independence era, Majan village has a status as Merdikan village (Special District) and the headman is a chaplain that is hereditary. The batik making of Majan is instinct (heritage) from the art of batik making since Diponegoro war era. The colour of batik Majan and batik Simo is unique because of its motif colour is bright red (from noni skin) and other colours from indigo plants. As a batik center, Sembung village is also known where the batik businessman mostly come from Sala that come to Tulungagung at the end of 19th Century. Nowadays, there are still several families who make batik from Sala that stay in Sembung village. Aside of those places, also there's batik making region in Trenggalek and several in Kediri. The age of the spread of Islam. The history of batik making in another region in East Java is from Ponorogo, where the story is related to spread of islam and previous kingdoms. 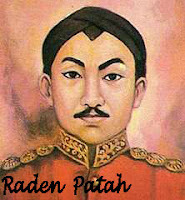 Told that, in region of Batoro Katong, there was an offspring from Majapahit empire named Raden Katong, brother of Raden Patah. Raden Katong who brings Islam to Ponorogo and built a site that stand solidly until now,a mosque in region of Patihan Wetan. The next progress, in Ponorogo, in Tegalsari region there's a islamic spiritual cottage that was owned by Kyai Hasan Basri or known as Kyai Agung Tegalsari. The cottage teach about Islam also teach about constitutional knowledge, science of war, and literature science. A famous student in literature science from Tegalsari was Raden Ronggowarsito. Kyai Hasan Basri was son in law of king of Solo Palace. At the time, art of batik was limited newly around Solo Palace. Because of princess of Solo palace became wife of Kyai Hasan Basri, so she was brought to Tegalsari and followed by his followers. In addition, many of Solo palace families taught in this cottage. And fortunately, it was a beginning of spread of Batik art out of Solo palace to Ponorogo. The teenagers who had been taught in Tegalsari, when they already come out of cottage, they will contribute themself in spritual scope and many more. The old batik making region that can be seen today is in Kauman region, Kepatihan Wetan nowadays and spreaded into Ronowijoyo villages, Mangunsuman, Kertosari, Setono, Cokromengalan, Kadipaten, Nologaten, Bangunsari, Cekok, Banyundono, and Ngunut. 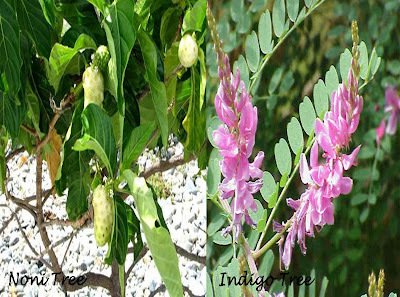 At the time, the materials that was used in batik making came from domestic such as noni tree, indigo tree, high wood. Whereas material of white fabric also use domestic produc. Imported white fabric was known in Indonesia at the end of 19th century. Stamped batik making in Ponorogo was newly known after World War 1 that was brought by a chinese named Kwee Seng from Banyumas. Ponorogo at the early of 20th century was famous of batik in indigo coloring that don't fade and that's why batik businessman from Banyumas and Solo gave many works to the batik businessman in Ponorogo. As a result of famous of stamped batik, so Ponorogo after World War 1 until World War 2 was famous of stamped batik of blue mori. At the end, stamped batik of Ponorogo is known in a whole Indonesia. From kingdoms in Solo and around Yogyakarta in 17th until 19th century, batik was widespread, especially in Java island. Initially, batik was just a hobby from the king's families. But in the further development, by the peoples, batik was developed to become trade commodity. Batik from solo is famous in traditional style and traditional pattern in stamped batik nor written batik. Materials that was used to colouring still use domestic product like Yellow Flamboyant (Peltophorum pterocarpum) or in Indonesian called "Soga Jawa" which has been known long ago. The patterns was same, between "Sidomukti" and "Sidoluruh". The history of batik making in Yogyakarta was known since the first Mataram kingdom, governed by Panembahan Senopati as a king. Territory of the first batik making was located in Plered village. Batik making at the time was limited in palace families that was done by the woman maids. From here, Batik making was widespread to another palace families like courtiers and their wife also soldiers. In kingdom official ceremony, palace family, man or woman, use clothes, combined with batik and lurik. So, when the peoples came to palace and of course the peoples was interested in clothes that was used by palace families. In a very short time, the peoples imitate those clothes and at the end, process of batik making was widespread outside of palace's wall. As a result from the wars at the past between kingdoms nor with dutch colonial, most of king families fled and stayed in new territory such as Banyumas, Pekalongan, east Ponorogo, Tulungagung and many more. Based on the development of Indonesian struggle history, region of batik making start to widespread at 18th century. Palace families who fled has significant role in spreading of batik making to all corners of Java island and it was developed based on the natural on that area. At Diponegoro war where Prince Diponegoro fought against dutch colonial was pushing the prince and his families also his followers to leave kingdom territory. Then, they moved to the east and west. Then, in the new territories, the families and the followers of Diponegeoro Prince developed batik. To the east, Batik from Solo and Yogyakarta flesh out batik style that already exist in Mojokerto also Tulungagung. Moreover, it spread into Gresik, Surabaya, and Madura. To the west, Batik's development is widespread in Banyumas, Pekalongan, Tegal, and Cirebon. 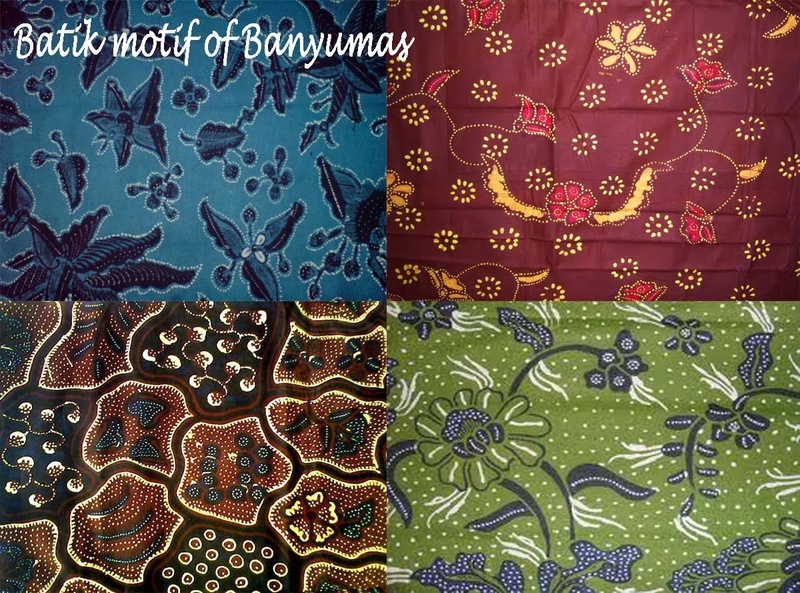 Batik development in Banyumas was centered in Sokaraja, brought by the followers of Prince Diponegoro after the war ends in 1830, most of them live in Banyumas. Najarendra, a famous follower at the time develope dyed batik in Sokaraja. Mori materials that was used are homespun result and tom tree is used as dye materials and noni tree which gives yellowish red. Finally, batik making spread into Sokaraja peoples and at the end of 19th century, it has direct relation batik makers in Solo and Ponorogo. 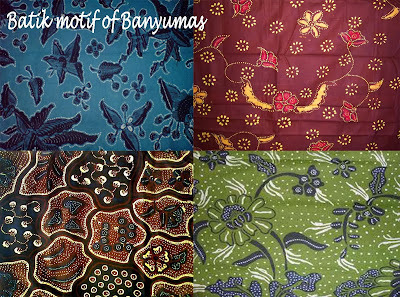 Region of batik making in Banyumas was already known long ago with special motif and special colour and now it's called as Banyumas batik. After World War 1, chinese people in Indonesia started to make batik while they trade batik materials. Related to batik making in Pekalongan, the followers of Prince Diponegoro who live in this region started to develope batik business around beach area, besides Pekalongan itself. Batik grown rapidly in Buawaran, Pekajangan, and Wonopringgo. And at the same time, batik also develop in other regions around 19th century. 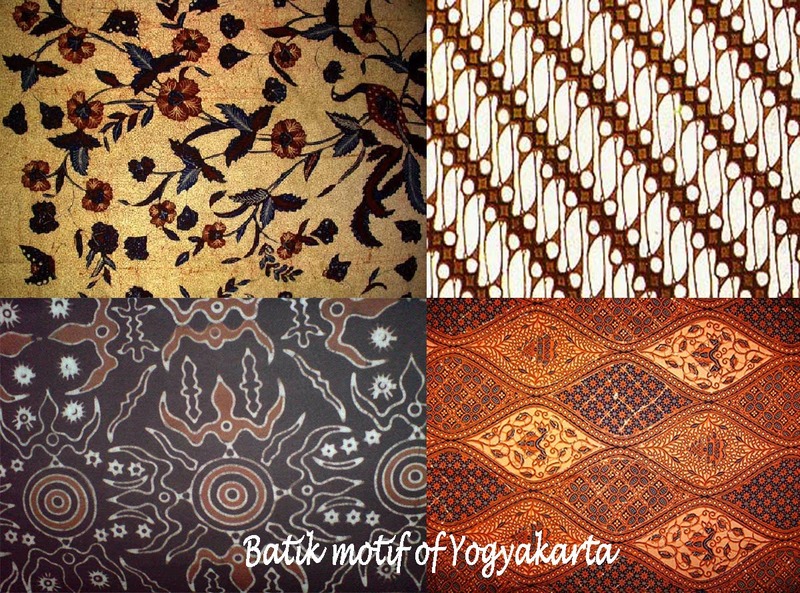 The development of batik making in other regions except Yogyakarta and Solo was closely related to historical development of Yogyakarta and Solo. The widespread of batik making into outside of palace after Diponegoro war ends and many royal families who move away to territory outside of Yogya and Solo because they didn't want to cooperate with colonial government. The royal family also brought their followers into the new land and at those places, batik art was continued and then it became their daily activity and business too. Style of batik in this new land was adjusted to local area circumstances. Pekalongan especially, looked from the process and design, it was much influenced by batik from Demak. Until the early of 20th century, process of batik making that is known was written batik with mori materials from domestic and also as import commodity. After World War 1, process of making stamped batik and usage of foreign materials from German and England was newly known. In the early of 20th century, firstly known in Pekajangan about weaving that produce stagen and the yarn is spun simply. In recent years, batik making which was done by people who work in weaving sector was newly known. The growth and development of batik making is more rapidly than stagen weaving and at the time, the labours of sugar factory in Wonopringgo and Tirto ever moved into batik companies because of high salary. Batik making was known in Tegal at the end of 19th century and the materials that was used come from homemade which is taken from noni tree, indigo tree, and soga wood and they also used homemade woven fabric. Colour of batik from Tegal firstly were "sogan" and grey after indigo tree already known and then develop into blue-red colour. Marketing of batik from Tegal at the time had spread into west java and another region that was brought by businessman by go on foot. They (the businessman) were the pioneer of batik development in Tasik and Ciamis beside of other comers from batik cities in Central Java. In the early of 20th century had already known about imported mori and imported materials was newly known after World War 1. The batik businessman in Tegal mostly were weak in capital and raw materials were obtained from Pekalongan and by credit, It were sold into chinese who give credit of raw materials. When economic crisis, the batik makers of Tegal were depressed too and back to rise up in 1934 until the beginning of World War 2. When japan army came, activity of making batik died again. Also the history of batik making in Purworejo were together with batik making in Kebumen which come from Yogyakarta around 11th century. The development of batik art in Purworejo compared in Kebumen was faster in Kebumen. Its productions were also same with Yogyakarta and another Banyumas region. In Bayat, sub-district of Tembayat Kebumen-Klaten that is located approximately 21 Km in the east of Klaten city. Bayat is a village that is located in the mountain foot but its land is arid. This territory include in scope of residency of Surakarta and Klaten regency and the history of batik making surely has close relation with history of kingdom of Surakarta at the past. In Bayat village today there is a site that can be visited by the peoples over there in particular time called "Tomb of Sunan Bayat", located on the Mount Jakabarat. So, the making batik in Bayat village has appeared since a long ago. Before, the batik businessman in Bayat come from handicraft makers and batik labor in Solo. Meanwhile, batik making in Kebumen was known approximately in 19th century that was brought by new comers (Islamic preachers) from Yogyakarta such as Nusjaf. He developed Batik in Kebumen and the first place he stayed was located in the east of Kali Lukolo nowadays and also there is mosque heritage as a sign of his efforts. The first batik process in Kebumen was named as "teng-abang" or "blambangan" and the last process was done in Banyumas/Solo. Around 20th century, to make the pattern, they used turmeric where the stamp made from wood. Some Kebumen motifs are trees, birds, and many more. Other materials that is used are noni tree and indigo tree. Usage of imported materials in Kebumen was known since 1920 that was introduced by employee of BRI (Bank Rakyat Indonesia) where at the end left homemade materials because it can save their time. Usage of stamp from cooper was known since 1930 that was brought by Purnomo from Yogyakarta. Region of batik making in Kebumen were in Watugarut vilage and Tanurekso village and other several villages. Looked with heritages that exist nowadays and hereditary stories, predicted in Tasikmalaya, batik was known since age of "Tarumanegara" where the heritage that exist nowadays is there are many tarum tree (indigo tree) you can see over there, used for materials to make batik at the time. Heritage village that still exist of batik making nowadays are Wurug village, famous of batik art, Sukapura village, Mangunraja village, Maronjaya village, and Tasikmalaya city. In the past, the center of government and hustle was located in Sukarupa village, in the suburb of Tasikmalaya nowadays. Between the end of 17th century and the early of 18th century, as a result of the wars between kingdoms in Central Java, most of peoples from Tegal, Pekalongan, Banyumas, and Kudus moved into the west and stayed in Ciamis and Tasikmalaya. Most of them were batik businessman and they also sold batik. By the coming of the new peoples, process of batik making by using soga is newly known where it comes from Central Java. Production of Tasikmalaya batik today are mixture of batiks from Pekalongan, Tegal, Banyumas, Kudus that has various patterns and colors. Batik making was known in Ciamis since 19th century after the war (Diponegoro war) ends, where most of the Diponegoro followers left Yogyakarta to the south. Some stayed in Banyumas and some continued their move and stayed in Ciamis and Tasikmalaya. They moved with their families and became new residents in that place and continued their old life style as work of home craft for the ladies. In a very short time, batik making process is known by the local people over there as a result of daily interaction or kinship. The materials that was used for homemade weaving fabric and paint materials was made from noni tree, tom tree, and so on. Batik motif from Ciamis is mixture from batik from Central Java and influence from that region itself especially in motif and scraping colour. Until the early of 20th century, batik making in Ciamis develop little by little, from own needs until became market needs. In Cirebon, batik has relation with the kingdom that exist in this region at the past named Kingdom of Kanoman, Kasepuhan, and Keprobanan. Main source of batik from Cirebon, the cases same with in Yogyakarta and Solo. Batik appeared in palace and brought out by courtiers who live outside of palace. The kings at the past were happy with paintings and before cotton yarn become famous. The paintings were placed in palm leaves. It was happen around 13th century. It has reltion with batik patterns on the weaves. The special characteristic of batik from cirebon are image with forest symbol and wildlife. The presence of sea motif because it was influenced by natural thought from chinese where Sultanate of Cirebon married with chinese princess. Meanwhile, batik of cirebon that has garuda motif was influenced by batik motifs from Yogyakarta and Solo. Batik has many admirers and always increase from time to time. Batik is no longer become a special fabric that is only saved in cupboard and only be taken out if you want to use it in special events. Ironically, several Indonesians use batik fabric as blanket in sleeping time. But now many people hunt for batik to be used as casual clothes or formal dress. However in Indonesia, Batik tend to be used for formal ceremonies or formal events because of batik is one of national dress of Indonesia. Average in Java, the peoples use batik when they attend to wedding ceremony or other formal events. At this time, using batik isn't like using batik in the past, which must follow the right usage rules. Batik become more free to be used and combined in any form. Batik can become dress that can be used everyday or when you go anywhere. When we look at batik in the present time then compared with batik in the past, we can look much difference. Nowadays, batik is more diverse. The diversity includes the diversity of batik motif, which always develop, the diversity of batik colour, which always more interesting from time to time, and also the diversity of kind of materials, technique of batik making, and batik design. 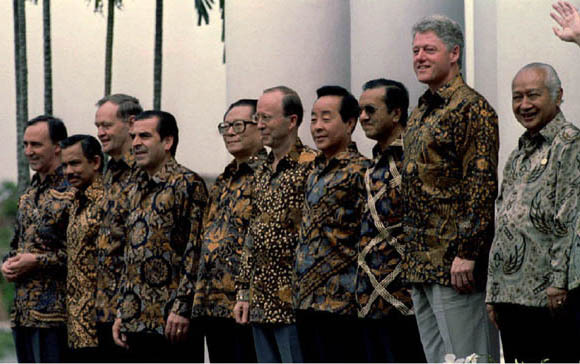 The diversity of batik motif today isn't based again on motif forms, arrangements, and technique like in classic batik. The development of batik today is very widely and freely, start from the element development of classic motif until processing of expressive motif. The diversity of motif is very depend on the batik makers. Batik motif can be like combination of organism and environment, a daily life story in the present or in the past, even abstract motif. Today, Batik is very colorful. In the past, the coloration done naturally by using natural materials. And now, Batik has gotten rapid development because it follows demand of market needs that always increase each year. The coloration of batik can be done by using sintetic dye assisted by sophisticated machines and don't use natural dye where it needs long process. The development of coloration process that produce various colour maximaly also it is able to produce the same colour according to colour demand in market. Proofed that it's very beneficially for batik producer. Batik materials in the past such as cotton fabric or mori fabric but now, the knowledge about materials and application for batic materials is very diverse. Beside use mori fabric, also use organdy, chiffon, silk organdy, silk, denim, and many more. Even Carmanita, batik designer from Bandung has created batik from lycra. Technique of batik making is develop continuously from time to time. 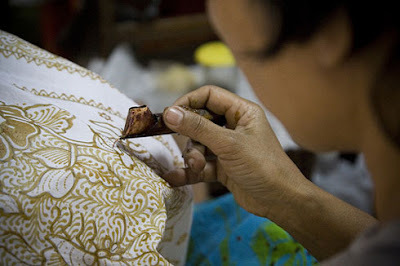 At the past, batik technique by using wax done by using various type of canting. In its development, not only canting that is used but also use paintbrush. Next, the coloration isn't only use dyeing technique but also use painting technique. At the end, the technique development without limit is able to develop various batik effect and batik texture in batik motif today. The usage of batik as a clothes always increase and develop, year on year. Before, clothes is secondary needs but now it become tertiary needs. It happens because clothes is able to become reflection of personality and self-image. Peoples can show their identity through clothes, about basic character, social status, economic capacity, and many more. Design of batik today is very diverse. It's very different when we compare with batik in the past where batik was used as long skirt. Now, batik can be designed in every forms and batik become more exist in all condition. Batik can be options as media to express ourself. In this case, batik can be combined to be used as a clothes by convolution technique without cutting the fabric. i love the history of batik in english, bravo! Visit www.batik.click to get original hand drawn batik. FREE SHIPPING worldwide. the moment I discover blogs that are well-written and well-researched. I want to thank you for featuring this superb information, and I search forward to reading more via your blog page in the long term. I can enjoy this blogging site and especially this particular blog post. At this time, Personally i think I misuse much too enough time on-line, examining junk, essentially. in my program. It's the same as searching through the chaff to obtain the wheat.